The largest and most prestigious international golf competition between companies returns to Spain at the hands of Trip & Grip, S.L., company specialized in the organization and integral development of sporting events linked to the world of golf. High quality tournaments will be held in the Autonomous Communities of Madrid and Andalusia, and in each of them, the winning couple will be invited to play the National Final to be held at the end of June . 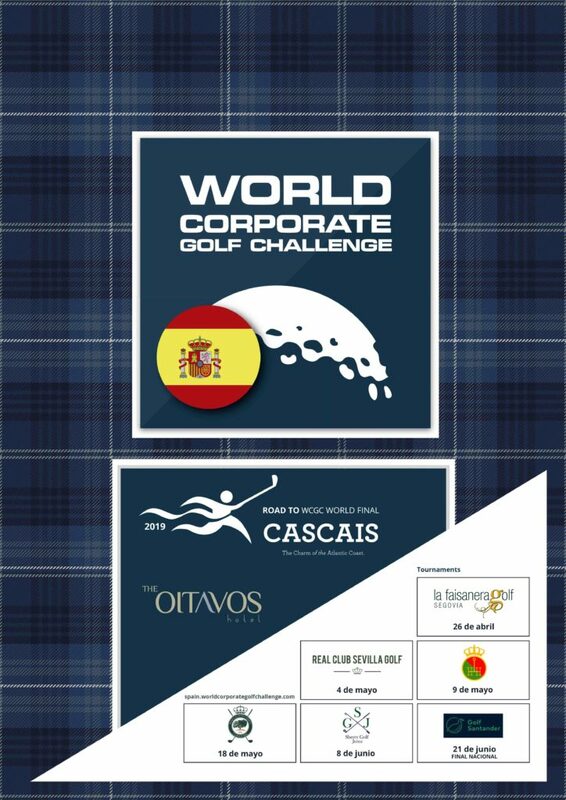 The winners of the National Final will represent Spain in the World Final to be held in Cascais from July 3 to 7, 2019, where they will compete with the representatives of the 30 member countries of the World Corporate Golf Challenge (WCGC). In this new journey of WCGC Spain, it has the support of the Chamber of Commerce of Madrid and other Andalusian Chambers of Commerce. In addition, the 2019 National Circuit also has institutional partners such as the Federación de Golf de Madrid and the Asociación de Golf Adaptado de Madrid. In fact, due to the inclusive nature of this circuit, each of the national tournaments will have a partner from the Asociación de Golf Adaptado de Madrid. Likewise, the circuit will have several sponsors and the presentation press conference will take place at the Palacio de Santoña in the second half of April on the same date in which the first tournament will be organized. “In this new stage, we want to thank WCGC for the opportunity it offers us, as well as all the institutions, companies and golf courses that have supported us so that this event becomes a reality and Spain will once again have a presence in the international final of the The first corporate golf circuit in the world”, said Manuel Espinosa, responsible for this new stage of WCGC Spain.